Do you do your part for the environment most of the time, but you're not sure how to stay eco-conscious while on vacation? It's not as hard as you think! By following a few basic green travel tips, you’ll do your part for the environment and get more out of your vacation. What is a blogger to do when she's expecting the birth of her 5th little blessing? Hold a baby shower event to celebrate this exciting time! 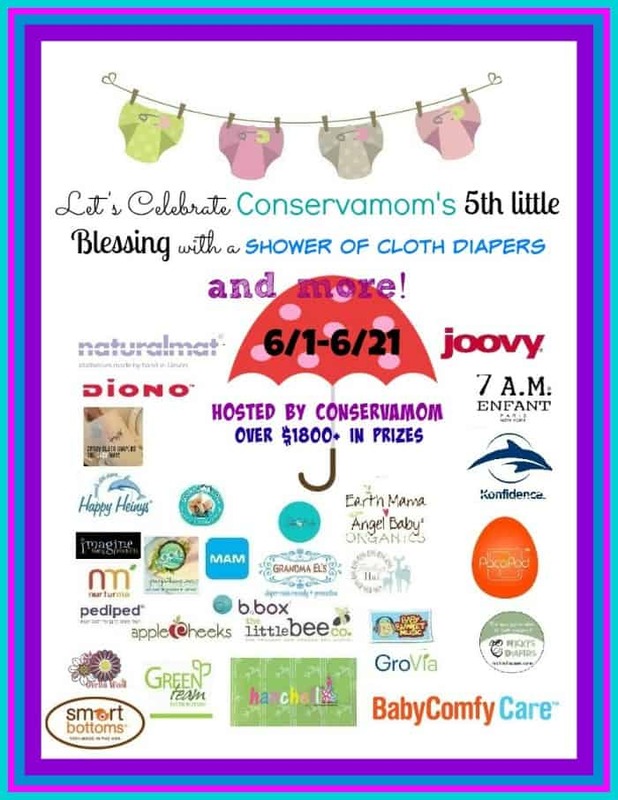 I'm so excited to be celebrating with Conservamom--we love babies and we love cloth diapers...and of course we love giveaways! Let's all wish Conservamom good luck and congratulations as she welcomes her fifth bundle of joy into this world. The great part is that you have the chance to win some exciting baby gear as well. The giveaway and prize descriptions are below. Conservamom is expecting the birth of 5.0 and she's so excited waiting for baby's arrival! She's Team Green, by the way. So we all can't wait to find out if she is having a little boy or a little baby girl. For this Baby Shower Event, she's teamed up with over 29 of the best bloggers and baby & cloth diapering companies around to bring all of our readers the chance at some amazing prizes! So are you ready to find out what the prizes are? Read on to see the prize packs worth nearly $1,000 each filled with eco-friendly baby supplies like cloth diapers, car seats, and more!